For me, personally, I like to experience heritage and culture through music. Canada is rich in Indigenous singers, songwriters, and musicians, sharing both traditional and contemporary music with us across the country. I feel lucky to have more opportunity to enjoy and discover music through a variety of festivals, radio shows, and recordings that I was not exposed to in my youth. This weekend, you may be interested in attending the Ottawa Summer Solstice Indigenous Festival, taking place June 21 to June 24, 2018. Also of interest is the 28th edition of the Montreal First Peoples Festival taking place from August 7 to August 15, 2018, at the Quartier des spectacles de Montréal. Just last month, the 2018 Indigenous Music Awards took place in Winnipeg, Manitoba. Once known as the Aboriginal Peoples’ Choice Music Awards (APCMAs), the show became known as the Indigenous Music Awards as of 2015. It airs for all to watch and is part of a larger annual festival called the Manito Ahbee Festival. Following these Indigenous Music Awards helps me discover artists I’d like to listen to. Not all artists release their music in physical CD format your Library can purchase. There is a lot out there. I sometimes discover some great sounds on CBC Music’s Reclaimed, or through Native Communications Incorporated’s Indigenous Music Countdown. If you’d like to discover a few titles available to you through the OPL collection, have a look through this 2018 Indigenous Music Awards inspired list of items available in our CD or digital music collections. Notes included about Indigenous Music Award Nominees and Winners below and in the attached annotated music list are pulled directly from the 2018 Indigenous Music Awards website. My personal favorites this year? I simply can’t get enough of the following albums! Apu Peikussiaku / by Shauit (2017). Originally from Maliotenam in northeastern Quebec, the singer-songwriter, Shauit, combines his native language and traditional rhythms with other popular trends. A bit of folk, a bit of dancehall, and – yes! – a bit of reggae influences are sure to have you up on your feet dancing this summer. Shauit is the Winner of the 2018 Best Inuit, Indigenous Language, or Francophone Album for this album, Apu peikussiaku. Shelter as we go… / by Quantum Tangle (2017). Fusing old-world sounds and new-world flair, Greyson Gritt and Tiffany Ayalik embrace their blended backgrounds. Combining their talents of throat singing, haunting melodies and traditional legends, the JUNO award winning pair present a mix of flavours from across Northern Canada. I fell in love with this album this past winter. Medicine Songs / by Buffy Sainte-Marie (2017). There is a good chance you’ve heard the song You Got to Run (Spirit of the Wind), the first track of this album. This is a beautiful collaboration between Buffy Sainte-Marie and throat singer Tanya Tagaq, organized by the Polaris Music Prize brain trust. It’s a song about an Alaskan dog sled racer, with a driving beat. On a deeper level, Tagaq says the song’s theme suggests “you can’t let things bring you down,” which she says could also be interpreted as an anti-suicide message (Buffy Sainte-Marie, Tanua Tagaq collaborate on new song, The Canadian Press, Feb 21, 2017). The following list includes titles from OPL's physical or digital collections relating to or inspired by the 2018 Indigenous Music Awards that took place on May 18, 2018 in Winnipeg. Billy Joe Green is an Anishnabe rock & roll guitarist based out of Winnipeg. Billy Joe Green is a 2018 Indigenous Music Awards Nominee for Best Blues Album for Born to Lose. Randy Wood is a 2-time Grammy nominated singer and prolific songmaker from Saddle Lake Cree First Nation in Alberta. He is known across Pow-Wow country as a respected Round Dance and Pow-Wow singer and Grass Dancer. Randy Wood is a 2018 Indigenous Music Awards Nominee for Best Hand Drum Album for Family. 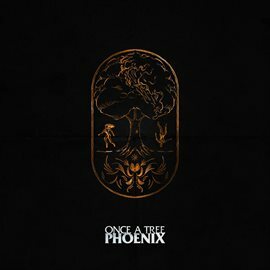 Once A Tree is an electronic music duo made up of Jayli Wolf and Hayden Wolf. They are the recipient of the 2018 Indigenous Music Award for Best Electronic Music Album for Phoenix. Buffy Sainte-Marie is touring constantly, and coming off her critically acclaimed, award-winning 2015 album Power in the Blood. This Cree singer-songwriter has been a trailblazer and a tireless advocate, an innovative artist, and a disruptor of the status quo. Buffy Sainte-Marie is the recipient of two 2018 Indigenous Music Awards: Best Music Video for The War Racket; Best Folk Album for Medicine Songs. Elvis Ballantyne was nominated for a 2018 Indigenous Music Award for Best Gospel for album Victory Road. Pat Vegas, co-founder Redbone (1969), is the recipient of the 2018 Indigenous Music Lifetime Achievement Award. 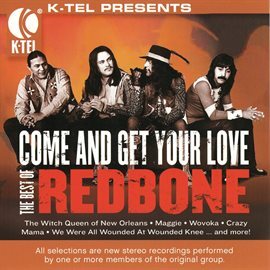 Track 8 features Come and Get Your Love by Redbone. This song from the 1970s has known a resurgence due to this Awesome mix tape! Pat Vegas, co-founder of Redbone was Awarded a Lifetime Achievement Award at the 2018 Indigenous Music Awards. From the Frog Lake Cree First Nation, Young Spirit has quickly become one of the most in-demand and respected groups on the Pow-Wow trail. Young Spirit is a 2018 Indigenous Music Award Winner for Best Hand Drum Album, for Mewasinsational - Cree Round Dance Songs; as well as a nominee for 2018 Best Pow Wow - Contemporary Album for Young Spirit-sâkītohk - 'Love Each Other' - Pow-Wow Songs Recorded Live at Apache Gold.